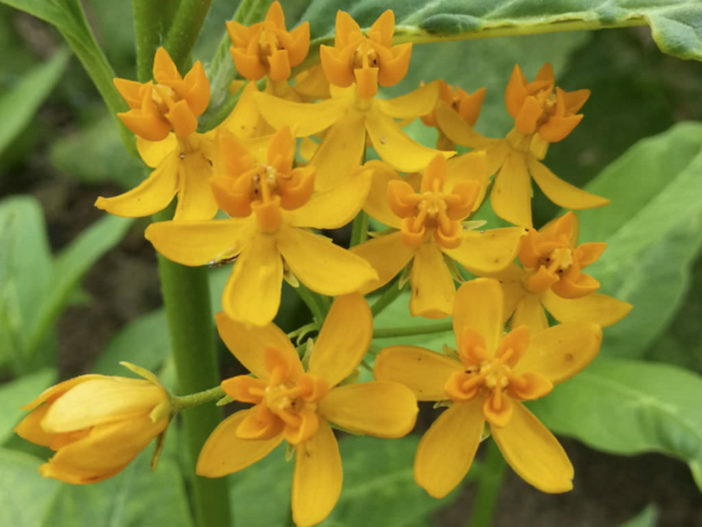 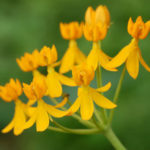 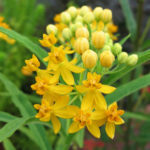 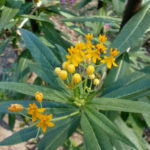 Asclepias curassavica ‘Silky Gold’ is a tender, evergreen perennial up to 4 feet (1.2 m) tall, with narrow, up to 6 inches (15 cm) long, yellow-green, lance-shaped leaves. 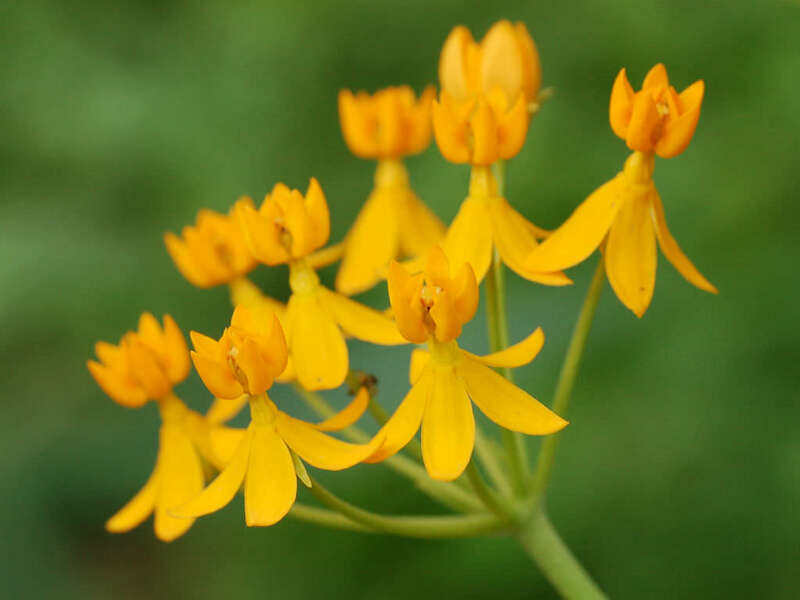 The flowers appear in late spring to late fall on long stems, bearing up to 4 inches (10 cm) long clusters of golden yellow flowers. 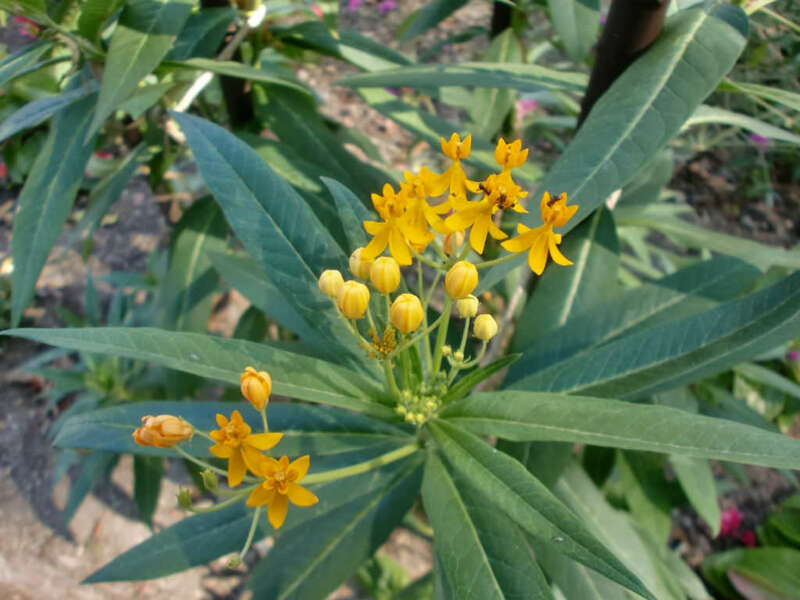 On this cultivar all of the petals and corona are a deep golden yellow. 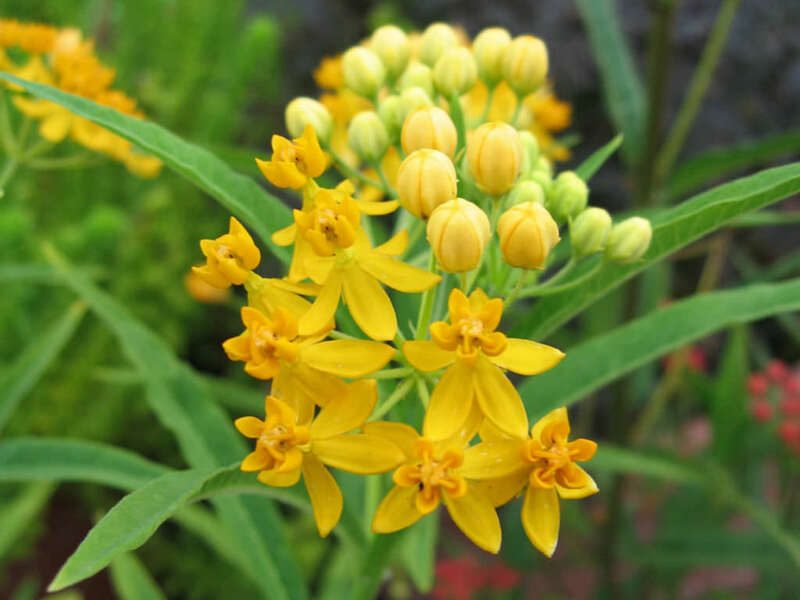 The flowers are followed by up to 3 inches (7.5 cm) long, spindle-shaped seedpods that produces viable seed.